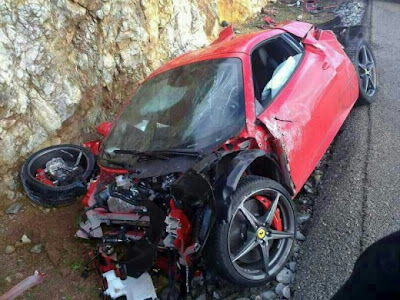 Through internet we have heard about a crash involving a Ferrari 458 Spider in the spanish island of Mallorca. 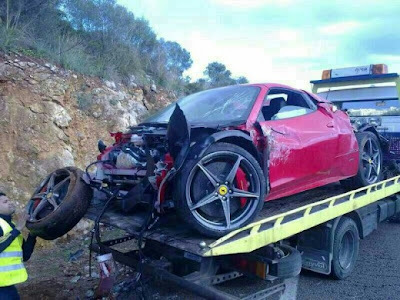 The driver took delivery of the Prancing Horse and just a couple of hours later it was already to be thrown. The driver lost the control of the italian supercar and finished his ride against the guard rail and the cliff, I'm afraid that some polish won't be enough to restore the conditions of the car. 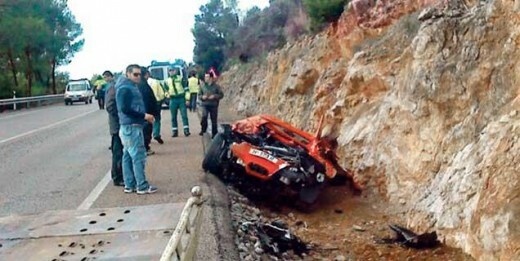 You Can see that, whatever the speed, the cokpit still intact.